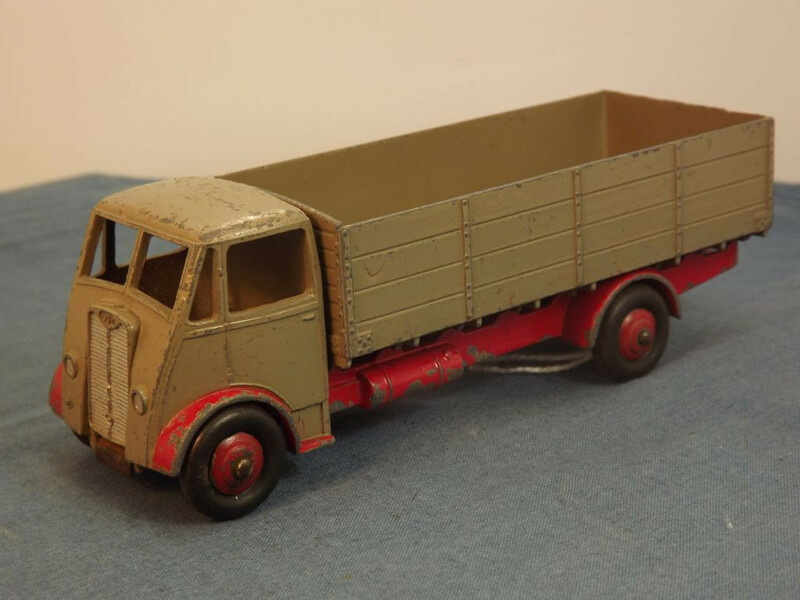 This model is the Dinky 511-G-1 Guy Otter Truck in Red and Tan. 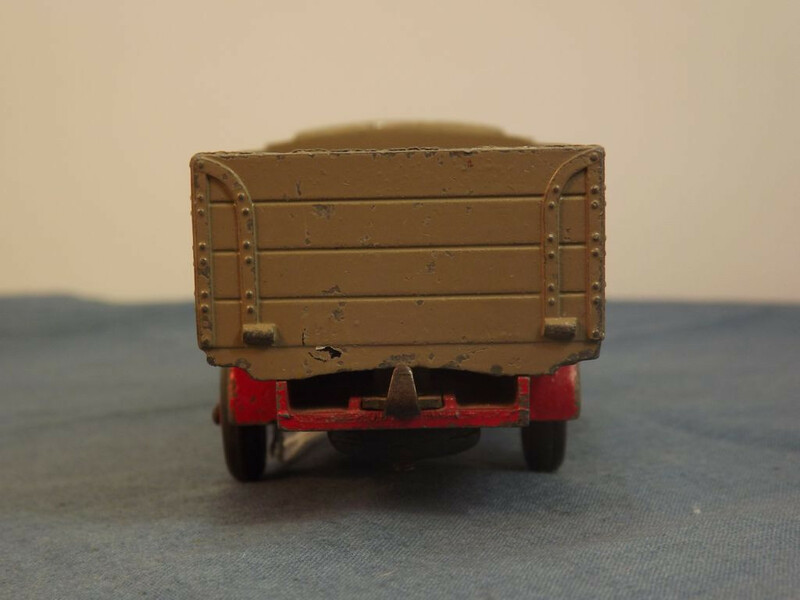 The model features a cast metal cab (painted tan) and chassis (painted red) with a separate tan cast metal rear body. The grille and headlights are picked out in silver paint, the front wheel guards and chassis are painted red, and there is no glazing in the windows. 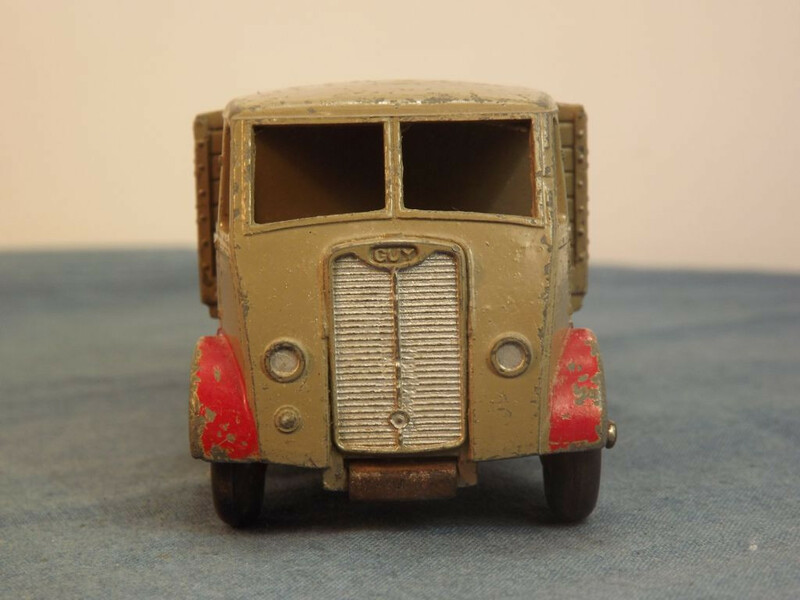 This model has the type 1 casting with thin vertical line brackets beside the front number plate. All wheels consist of black rubber tyres on a red ridged hub fitted to steel axles. 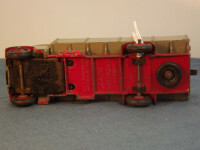 The axles are held in place via tin clips. 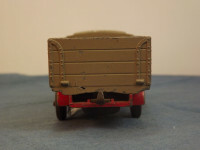 There is a spare wheel on the chassis. 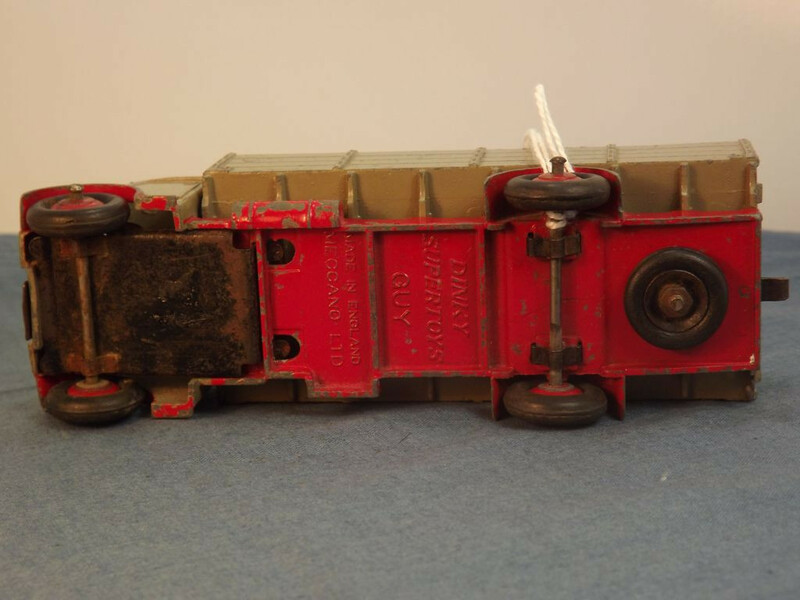 The base plate is actually the chassis casting and it is red painted metal with Dinky Supertoys in the middle followed by "GUY". 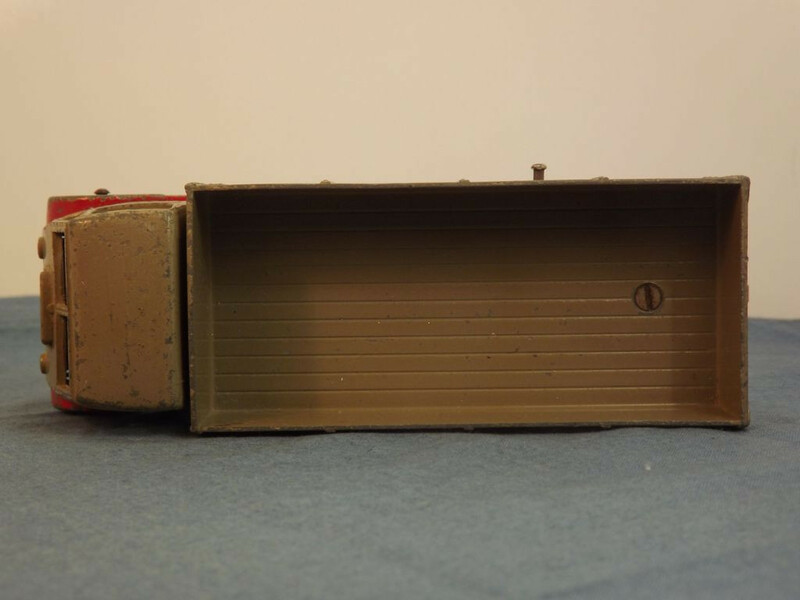 Underneath in a separate panel is "Made in England" on line one followed by "Meccano Ltd" on line two. 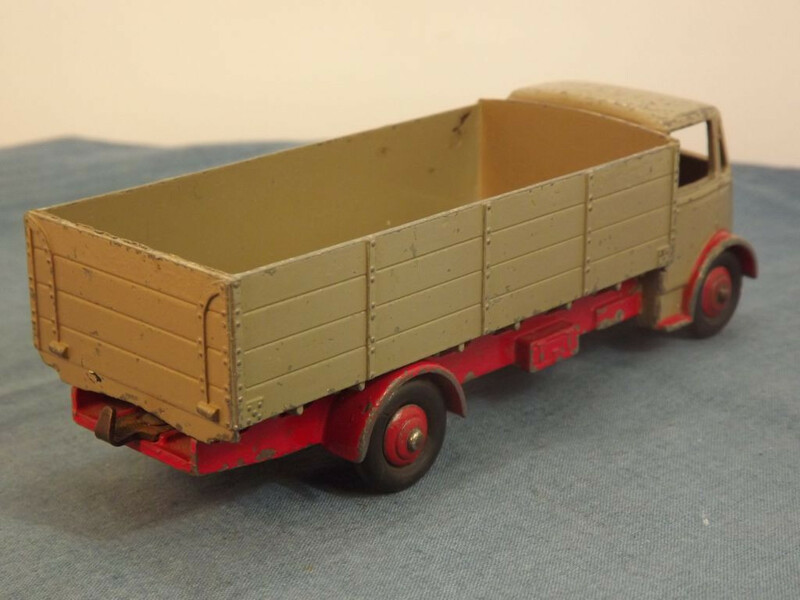 Below the cab area is a tin plate base with no markings. It is fixed through the use of body locating lugs. 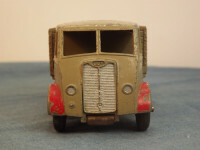 The rear body is fitted to the chassis by means of a small machine screw and nut, that also serves to hold the spare wheel. This model was issued between 1947 and 1954.